We hope you’ve been having a busy couple of months either ideating, prototyping, pivoting, iterating, building or running a startup! We have been busy too, working closely with our Alumni on their various initiatives. As some of you may know, The ACT program is not just a one-off event. It is a long term relationship and commitment on our part to help our Alumni launch and scale their businesses. With November fast approaching, we hope our alumni are sprucing up and tweaking their pitch decks which they will submit for review. We were fortunate enough to catch up with some of the teams out in the field. Here is a quick rundown of what they have been up to. Our Pharmacists have made some great strides this last month. 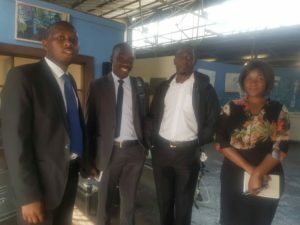 They managed to get a slot in the monthly Pharmaceutical wholesalers’ meeting, and also signed-up a few of the wholesalers and pharmacies for their pilot. Currently, the team is working on the development of their software application as well as other important components, like registering intellectual property, and building their customer database. Things look pretty promising for the team, and we wish them luck as they continue on their entrepreneurial journey. Some exciting news is that Medfind’s application is being developed by one of our ACT alumni, talk about collaborative brilliance! We are glad to see Sharon and her team still hard at it, coming up with new formulations and products almost every month, winning the hearts of new customers and venturing into new markets. Your typical 21st century Vasco Da Gama! She has had a busy year, and we absolutely love what she has done with her brand; revamping their image and her approach to selling products- by using brand ambassadors. As we get into the last 3 months of the year, Sharon will be releasing a couple more products for The Mambokadzi WildChild brand and aggressively marketing her whole range. Look out for her booth at some of the summer fairs, festivals and expos! Angela Mhaka– Miss Angela, our youngest from the 2017 group, has been making waves in the startup circles! 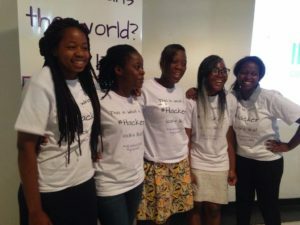 She got selected to participate in The Young Entrepreneurial Women’s hackathon- hosted by The IBU hub and The African Leadership Academy, and her team won! So they are now preparing for the annual ANZISHA prize fellowship and working on developing their product. 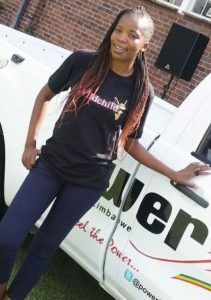 As if that was not enough, she also got selected to take part in the Bulawayo CBZ Young Entrepreneurs’ Program, a program connecting promising startups with entrepreneurial skills, a network of mentors and business leaders, and funding for their businesses. Way to go Angela! Evangelista Chekera– You will remember Evangelista from the Agrinnov8 (now GLETT) team yes? Well in the last 2 months, she has been working tirelessly to develop her slaughtering units for her Passion Poultry project. 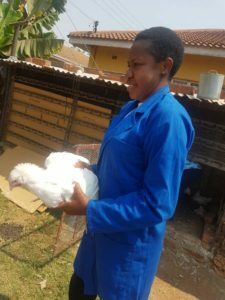 We went out into the field with her some weeks back, and got to test out her prototype with some small-scale, poultry farmers. We never imagined that there would come a time we would say we enjoyed slaughtering a chicken because the process was quick, effortless and clean! To add spice to the chicken, Evangelista is currently in negotiations with a large local stockfeeds company that is interested in her slaughtering units; and it is looking into distributing her products. Kudos to you Evangelista! 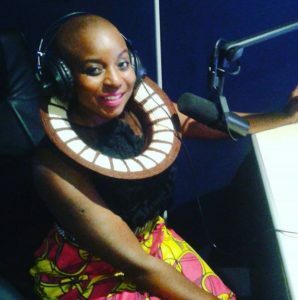 Noreen Mukora– If you listen to Star FM, one of our popular radio stations, during drive time; you are sure not to miss Noreen talking about their ‘Wear Zim, wear local’ campaign and her growing fashion startup, Chenesai. We love how she trudges along daily, blowing our minds with some of her unique and daring designs, and her inspirational fashion blog. You can imagine how excited we were when we found out that she had been selected to participate in the Nairobi Fashion Product Lab; a regional, 8 week programme targeting young Fashion startups in Africa. Program participants have access to tailored (pun intended) workshops, tools and industry experts; to develop and grow their businesses! Well done Noreen, fly the Zimbabwean and ACT flag high! So that’s it for now folks! Be sure to read our blog and catch up with us on Twitter, Facebook and Instagram. Happy new month!